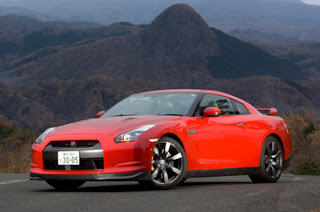 On paper the GT-R develops 473bhp at 6400rpm and 433lb ft at 5200rpm, and it deploys its grunt via a six-speed semi-auto gearbox that has no fewer than 12 clutch plates, and manual paddle shifters on either side of the steering wheel. In reality, and despite the not-inconsiderable 1740kg kerbweight (thank the bombproof 140kg transaxle gearbox for that) what we’re talking about is one of the fastest, most complex road cars money can buy. As for the interior, it makes you wonder just how heavily Porsche relies on its reputation to charge as much as it does for a 911 Turbo. The GT-R is as well made if not better than the Porsche inside, has much more space front and rear, more equipment to play with (including a flat screen display that imparts info abut everything from the wind direction to the level of torque at the front axle at any given moment), and a hugely bigger luggage compartment. True, the GT-R is still only a Nissan, and the 911 Turbo is one of Porsche’s finest recent moments. But that’s still no justification for adding nigh-on £30k to the price.